Do you want to fix California’s broken healthcare system? Yes? 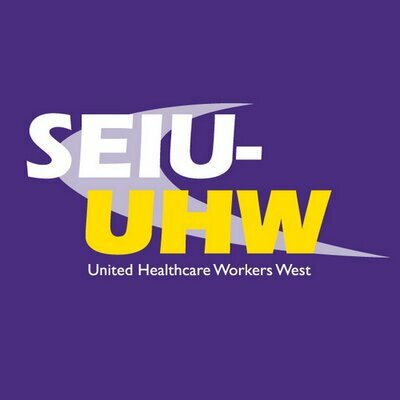 Great, we’d love for you to check out SEIU United Healthcare Workers-West (SEIU-UHW). Reach out to non-unionized healthcare workers to bring them into our movement. SEIU-UHW offers a competitive salary based on experience, generous benefits including fully paid family healthcare and a defined benefit pension, and a work environment that values team building, diversity and a culture of feedback and development. SEIU-UHW is an affirmative action employer and encourages applications from all qualified candidates regardless of gender, race, ethnicity, age, sexual orientation, gender identity, national origin, marital status, religion, or disability. Please submit cover letter, résumé and at least 3 references to our candidate portal HERE. We are 85,000 healthcare workers who work in hospitals, nursing homes, clinics, and in the community as home care providers. Our members are frontline caregivers, including respiratory care practitioners, dietary aides, environmental services and nursing staff. Our mission is to provide quality care for all patients, expand access to excellent, affordable healthcare for all Californians and raise living standards for all workers. We are led by the largest, most diverse and dynamic leadership body in the labor movement: An Executive Board of more than 200 rank-and-file members. We dedicate a large portion of our resources to growing our movement of healthcare workers through organizing the unorganized.